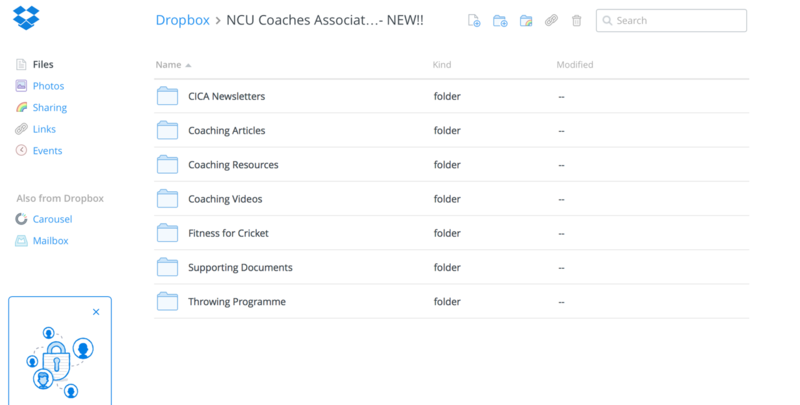 The NCU Coaches Association are delighted to announce that they have a brand new Dropbox account for their members in 2015. 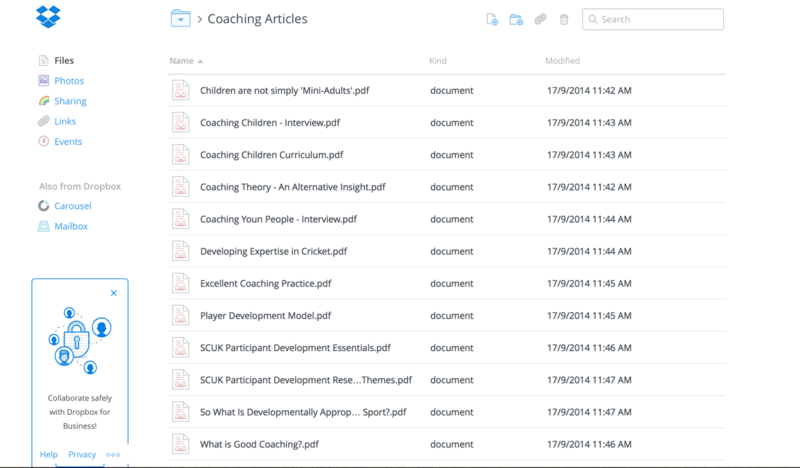 The NCUCA Dropbox folder is a simple and incredibly useful resource for coaches and is most importantly FREE for all members! The content should provide coaches with huge amounts of useful information and Smart phone / iPad apps will enable coaches to have all of their coaching resources at the touch of the button when out delivering sessions at schools or clubs. You can go straight to the NCU Coaches Association Dropbox folder by clicking on the link below. Please note - you will only be able to access the folder if you are a member of the NCUCA!